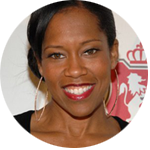 Emmy-Award winning film and television actress Regina King made her episodic directing debut in 2013 on TNT’s Southland, the series where she starred as Detective Lydia Adam for five seasons. That same year, Regina helmed a feature-length film for BET entitled Let The Church Say Amen, based on the best-selling Reshonda Tate Billingsley novel. Regina also served as Producer on the film, producing alongside Queen Latifah, Shakim Compere, Shelby Stone, Roger Bobb and her producing partner Reina King. In 2014, she directed four episodes of Being Mary Jane, notably becoming the first female director on that series and returned to direct two more episodes the following season. Regina’s involvement with the ABC/Disney Diversity Director’s program led to her directing an episode of Shonda Rhimes’ hit ABC series Scandal for which she is set to return again as a director this year. She will follow up with directing episodes on two more highly anticipated shows, Shonda Rhimes’ The Catch and OWN networks’ Greenleaf.